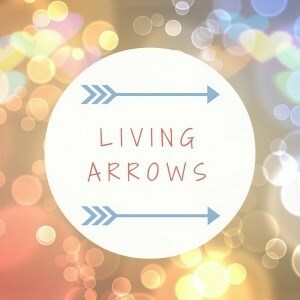 If you are wondering what a Living Arrow is then this post should bring you up to speed. The weather has turned really frosty this week so we have been mostly staying indoors. I am trying to plan things to do but it’s just far too cold out there right now. Moose had his very best friend over to play after school. It was his first school friend playdate and I was a bit worried. Not because I thought they would be terrors but both boys are the youngest in their year and school completely wipes Moose out most days. I worried that if that was the case for J too, I might have 2 seriously tired 4 year olds on my hands and that could lead to disaster. It was absolutely fine though. Thankfully J’s Mum told me that J is just as difficult with food as Moose. That was a relief to be honest. They had so much fun playing together. I am definitely going to make it a regular thing! I am cheating. Bess has been running around doing so much schoolwork and attending rehearsals for a show she is putting on this week at school that I have barely seen her! This photo is of her on her Birthday earlier in the month. It really does smack me in the feels sometimes just how quickly she is growing up – it seems to be accelerating? She chose the dress she is wearing and looks beautiful but far too grown up if you ask me.